Performances for local charities: Studio dancers perform every year at benefits and fundraisers in the Ottawa Region. In the past year, our dancers have entertained for The Sisters of Penelope, The Bronson Centre Annual Fundraising Event, and various school charities and fundraisers. The Chance 2 Dance Foundation: The charity of choice for The Studio School of Dance is a wonderful foundation founded in 2010 by local dance enthusiasts. 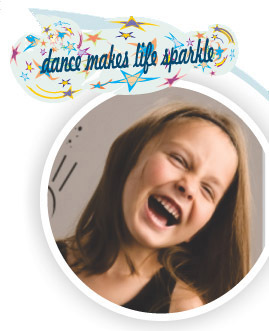 This foundation works within the community with groups such as Christie Lake Kids, Parent Resource Centres’s and other groups bringing dance to underprivileged children. The organization also provides scholarship funding for pre-professional or competitive dancers. In the spring of 2010 The Studio dancers performed at an inaugural event for The Chance 2 Dance at Centrepointe Theatre. This evening was an exciting presentation of dance with a silent auction. All proceeds for the evening went to The Chance 2 Dance Foundation.